India needs to create an environment conducive for qualified, bright women researchers to continue their pursuit in the field of science to improve the quality of research in the country, Infosys co-founder N R Narayana Murthy said here. India needs to create an environment conducive for qualified, bright women researchers to continue their pursuit in the field of science to improve the quality of research in the country, Infosys co-founder N R Narayana Murthy said here. A recent report released by the firm Clarivate Analytics shows that only 10 Indians figure among the world's top 4,000 highly-cited researchers (HCR), with only one woman from India featuring in the list topped by the US. Asked if more women researchers can help improve the quality of research in India, the renowned IT industrialist said, "absolutely, no doubt about it..."
"Whenever I have gone for a convocation address in any university or IITs or lots of institutions in the country, I find the percentage of gold medals that are won by women is generally much higher than by men," Murthy told PTI. "Therefore, we have to create an environment where it is easy for our women researchers to continue their pursuit even after they get married, even after they have children...," he said. However, Murthy noted that it was a social issue and not so much the problem of the research institutes. "In our society, we have to create mechanisms whereby qualified, bright women researchers have no hindrance at all to continue their research focus," Murthy said. "And it does help (in improving the quality of research) as 50 per cent population (in the country) is women and their performance is no less than men at the undergraduate and perhaps at the Masters level," he said ahead of the Infosys Prize ceremony here on Saturday. The Infosys Prize is an annual award given to scientists, researchers, engineers and social scientists by the Infosys Science Foundation (ISF) and ranks among the highest monetary awards in India to recognise research. This year, six eminent professors have been awarded the prize across different categories of science and research. The annual award includes a pure gold medal, a citation, and a prize purse worth USD 100,000 (or its equivalent in Indian rupees). Murthy believes that India has realised the importance of creating an environment where the researchers can indeed contribute to the global betterment and produce world-class work. "We are still obviously in the early stages, and I'm positive that as we move forward the number of Indians in the top 4000 scientists will indeed increase rapidly. And I have no doubt that Infosys Science Prize will provide an impetus to this effort," he said. He said many Infosys Prize winners had gone on to win international awards in research considered at par with the Nobel Prize. Asked about the challenges faced by Research and Science in the country, he noted that the research institutes should adopt a more multidisciplinary approach and provide for more interactions of researchers with those outside the country. He noted that funding may not really be the hurdle in improving the quality of research and that he was very hopeful and excited about the things to come in the field of research and science in the near future. "This point in time, the UPA government and the current NDA govt, both have taken a lot of interest in improving the quality of higher education. 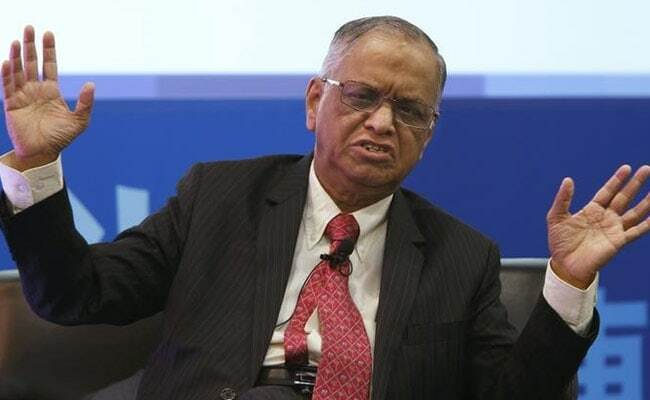 UPA tripled the allocation of funds for higher education, the current government has continued it, so I don't know if funding is the issue," Murthy said. He said youngsters needed to spend more time with international researchers and they should participate in conferences outside India. "I think our aim for world-class work, aim for the best research work has to be improved first by being more open-minded to compare our work to what is happening outside India, second by providing greater chances for our youngsters to interact with world-class researchers and third by adopting a multidisciplinary research approach," he said. "If we do some of these things I am sure we can improve the quality of research," Murthy added.